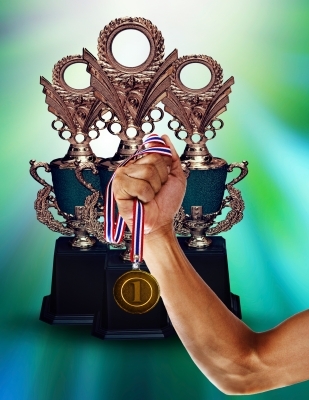 Dividend Champions are the creme de la creme. A company that reaches Champion status has to increase dividends for at least the last 25 years. That's a major accomplishment when you think back to all of the economic situations the companies have been through. There's the end of the savings and loan crisis of the late 80's/early 90's, the technology boom and subsequent bust, 9/11, the housing bubble and its bursting which led to the financial crisis and a whole host of other economic maladies that have come and gone as well. Through them all the Champions have been able to raise their dividends year in and year out. There's currently 7 companies that are on the threshold of earning their Championship belt. These 7 companies have all increased dividends for 24 years and assuming everything goes right should gain the title of Champion at the end of this year. Who's next to become a Champion? I wanted to highlight these companies in order to give them their props for being on the cusp of something truly special. These companies all make for great candidates for further research based on their history alone; however, I've also included some valuation metrics as well as my thoughts on the companies and their respective outlooks. My only holding from the list is UMBF. Conservative, no TARP taken, primary growth via occasional acquisition. Not likely to increase the payout ratio - more likely to reduce shares via buybacks. Their hidden gem is the management of HSA/FSA accounts which results in low cost,sticky assets being on the books. Glad to someone owning one of these lessen known soon to be Champions. UMB definitely looks like a pretty good investment candidate just based on the numbers. A traditional, conservative S&L style bank can lead to excellent investment returns over time.